So after much fanfare, excitement and “yippee-ness” I got outbid. That is the heart-breaking simplicity of buying property at auction: you win or you lose. There’s no in-between, there’s no negotiations and pondering over whether the seller will take a higher or lower offer – you put your hand in the air and whoever keeps it there the longest wins. 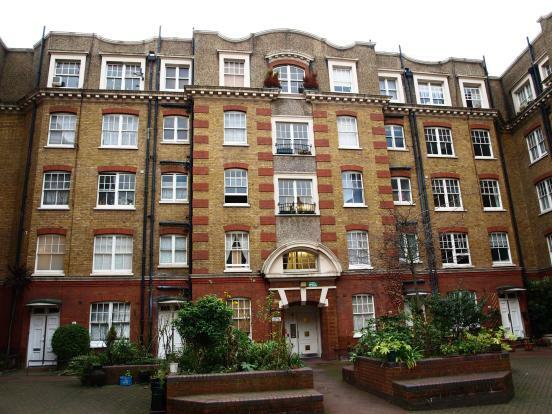 It’s a top floor, one bed flat located in Bloomsbury in dated condition. It was a probate sale (although the sellers’ hadn’t yet got probate and had entered it into auction for sale), it came with minimal legal information, it had an extra fee payable of 1% of the hammer price to the sellers, (for their legal costs) and it came with the potential of an eye-watering estimated major works bill of £12k for the replacement of the heating and hot water system. If I had not fallen in love with the flat I would have run a mile. But love does not work in such logical or rational ways. And so I took the alternative tack – I did whatever I could to try and secure the flat. I tried to offer before auction (which was not of interest due to the sale being by executors) and then when I found out about the potential £12k bill for the heating replacement I knew I had to try even harder. I knew I had to get myself onto a level playing field. I felt it was my “duty” to let every other bidder know about the potential bill. So I emailed the auction house and seller’s solicitor prior to auction about the potential £12k bill. I got no reply. Ignoring me, will not work. So I called in reinforcements: we will call him “Mr D”. Mr D is a seasoned property expert and experienced auction buyer. 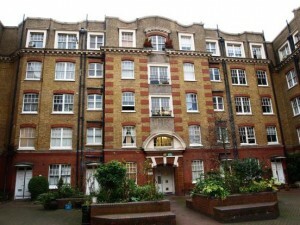 The auction is being held in a Central London location in a function room which fits approximately 150 people. At the front of the room is a raised stage area with a rostrum which is where the auctioneer stands. The auctioneer is flanked by auction house staff who are on the look out for potential bidders. The rest of the room is full of rows of seats facing the front – rather like a cinema, but with function room chairs. Along the walls, people are standing to survey the action. The room has a bustling-quiet. All eyes and ears are on the auctioneer. If you talk, it’s only because you have to and you whisper in hushed tones. The auctioneer is the only one who is “allowed” to talk audibly. There is an air of impatience – two previous lots have been hotly contested and the auction is running behind time schedule. There is also an edge of anticipation and nervous energy. My lot is about to be called next. Mr D is stood to my right, Mr I (I had extra reinforcements) is stood to my left. The auctioneer is about to start the calling of bids for my lot. Mr D waves his arm in the air to attract the auctioneer’s attention. The auctioneer is looking the other way and does not see Mr D.
The auction house staff see Mr D is flailing his arm further now and nudge the auctioneer to grant Mr D the “right” to talk. “I am very sorry, I was not here for the introductory announcements. Please can you tell me if there is any further clarification on the potential £12,000 bill which has been estimated for the replacement of the heating at this flat”. Every face in the room turns to look at Mr D.
NOBODY ever normally talks to the auctioneer, let alone questions him. The auctioneer issues a steady reply: “I do not have any further information”. Mr D persists: “I received an email from the contracts manager that these works are estimated at £12,000, that is a lot of money”. The auctioneer fixes Mr D with a firm gaze. “I do not have any further information, the legal pack has been available and you should check that”. The auctioneer unwavering: “The problem with works in these communal blocks is that you don’t know when or if the works will ever happen, it may be 5 years, 2 years or 6 months. I do not have any further information, but if you are not sure then I would advise you not to bid”. “Thank you, it’s just such a lot of money, but I understand”. Mr D concludes. Unfazed by such a rare interjection, the auctioneer begins the calling of bids for the lot. All eyes return to the auctioneer. He calls for an opening bid. There is a muted silence. A pause. Then a hand is slowly raised and the bidding commences at £300k. Within minutes the price has reached £364k. There is a slight lull, before another bidder enters the fray. At £374k the bidding slows. I turn to face the wall. The bidding has now gone over my limit. And then it starts again. At £382k the property is about to be sold. At this point I should leave the room. I should exit. But I call the other half who is at work. “It’s about to be sold at £382k, shall I bid?” I urgently whisper down the phone while watching the auctioneer. “What, but that is over our budget!” He exclaims. “Yes, OK, I’ve got to go I’m in a meeting” Click. The phone goes dead. I raise my hand in the air and bid £384k. Straight away the other bidder (stood at the opposite end of the room) comes back with a higher bid. This is now over over budget, over retail price and makes no sense. I really should leave the room. The auctioneer turns to me and fixes me with a questioning stare. Mr I, to my left is in a trance – he is caught under the auctioneer’s spell. Mr D to my right, shrugs his shoulders and whispers: “If you love it and you really want it, bid one more…but this guy is going to bid again, you are NOT going to buy this. He is going to go all the way. But bid again, just once, to know you will have no regrets”. Immediately the other bidder retaliates with a higher bid: £387k. I look over to the other bidder at the far side of the room. I study him. I think he’s Chinese. I can’t say for sure. But I know he’s here to bid and buy at whatever price. And I cannot do that. I will not do that. I signal to the auctioneer that I am out. And I leave the room. I cannot leave quickly enough. The excitement, the hopes, the dreams, the ‘what-ifs’, maybes and all planned-for and hoped-for things are not going to happen. Well, at least, not for now. Today is another day and the start of another new adventure..
And yes – there are plenty more flats on the streets of London…just not many for sale in my selected area or budget right now! Sam, In addition to the uncertainty about the additional expenditure from the landlord/management company, there is the uncertainly as to when the seller could complete, or when the Land Registry would register your title. Remember these days you do not get title without registration. I assume you had a good look at the length of the lease as well. There are often good reasons for the seller aas to why they have decided to sell a property at auction and not wanting to answer queries is a big one. Good luck and happy hunting next time. Nick you are very right. My solicitor was uncomfortable with the circumstances of this sale and so I think he’s secretly relieved I got outbid! You should also be aware that experienced puchasers will see the “stunt” of a non-bidder (Mr D) asking an awkward question before the lot is offered as a means of putting off other bidders from a desirable purchase. Sometimes it works, especially with casual bidders who are prepared to take a flyer. It probably works best if there are legal title issues e.g. problems with easements or restrictive covenants. Although £12K is a “lot of money” it is less than 4% of the price and when the money is spent the property is improved. In such circumstances your tactic may backfire, as appears to have happened here. Ian, you raise a very interesting perspective, thank you. I have since discovered the flat was purchased by an overseas investor and I doubt the potential of this bill would have any impact (nor would it have had any impact on serious or experienced investors). In terms of how asking a question prior to bidding may “backfire” I am not sure I fully understand. I think sharing such knowledge prior to auction does deter “chancers” however, I am not sure how else asking such a question could backfire? I would welcome your thoughts, comments and experiences on this. Please can I borrow MrD?! I can ask – don’t know if I’ll get into trouble if I start hiring him out! Sorry you missed out on flat 52. It was very unfortunate as I am sure my aunt would of wished it was sold to someone who loved it just as much as she did. Good luck in finding something just as wonderful in the near future. Keith, thank you for taking the time to comment. Your aunt’s flat has the most wonderful positive and peaceful feel to it and it felt like it had been a very happy home. I am so thrilled to hear she also loved it as it really did feel like a very much loved and cherished home. Is it over? Are we there yet?